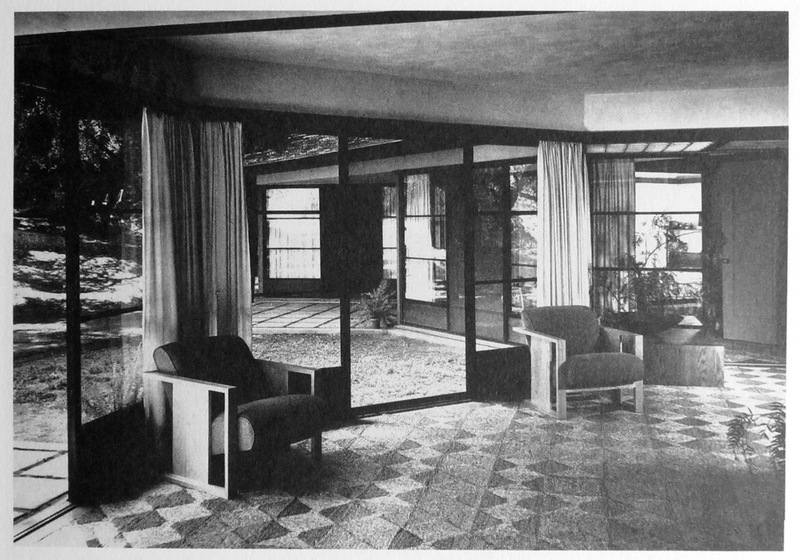 Wright Chat :: View topic - Harris Floor Covering? Posted: Sat Feb 09, 2019 1:34 am Post subject: Harris Floor Covering? Anyone know what sort of carpeting this is? 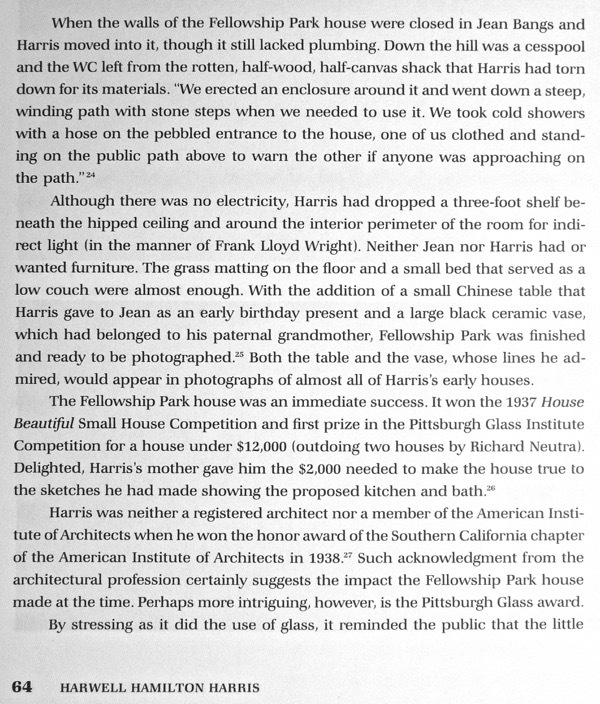 It's a pix from Hamilton Harris house in Fellowship Park. 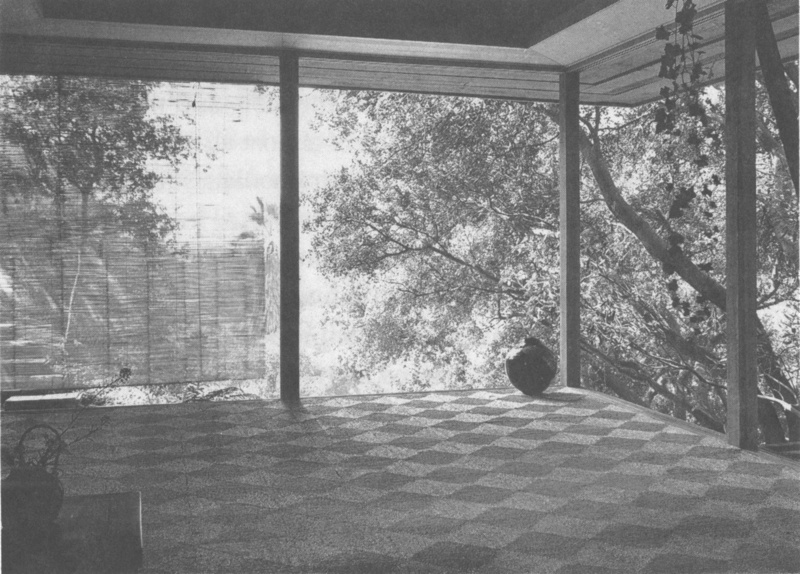 Thing is, a northwest mid-century architect also used this same sort of checkerboard looking floor covering. 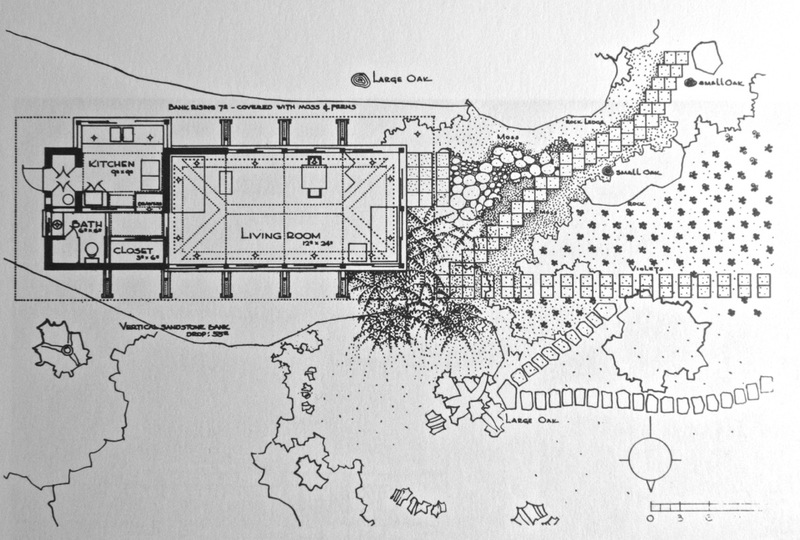 That is seagrass carpeting. Harris preferred this. It was readily available from the 30s through the 70s. I remember seeing it as a staple at Cost Plus (now World Market) for dirt cheap. It’s durable to an extent, but the seams holding the squares together would often break. It had s nice, earthy grassy smell. Thanks. So that checkerboard effect comes form laying the tiles in alternating pattern? This wasn't a carpet that was rolled across the floor. 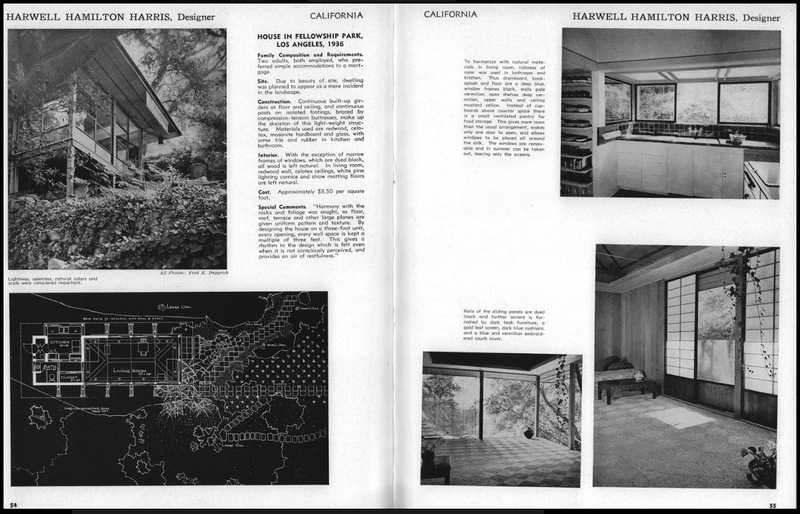 The mid-century architect I'm researching used it in several Seattle houses. I wonder if he got the idea from Harris or if this was a popular product with modernists of the time. No, it came as carpet, in various sizes. The variety that my parents placed in our living room, for a while, was thick enough that I don't think it would have rolled well, so it may not have been sold as carpeting. 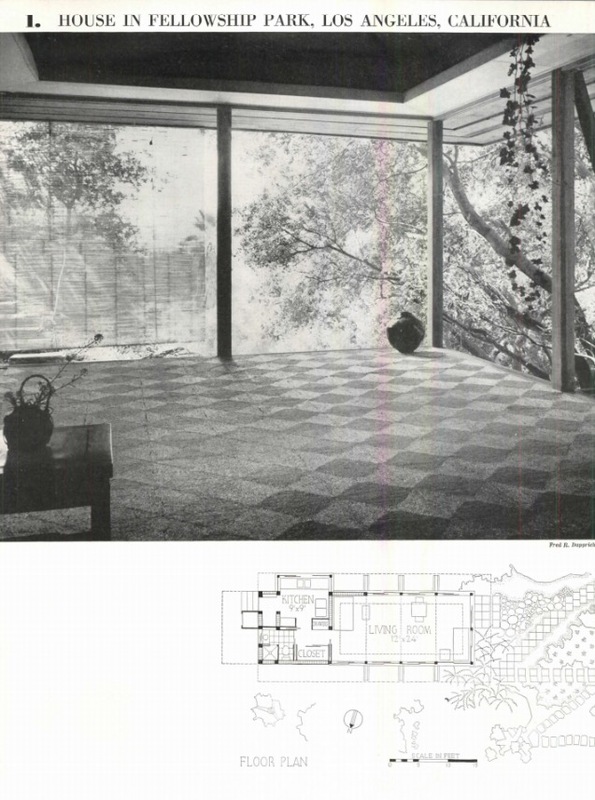 It shows up in vintage photos of mid-century architect-designed houses. 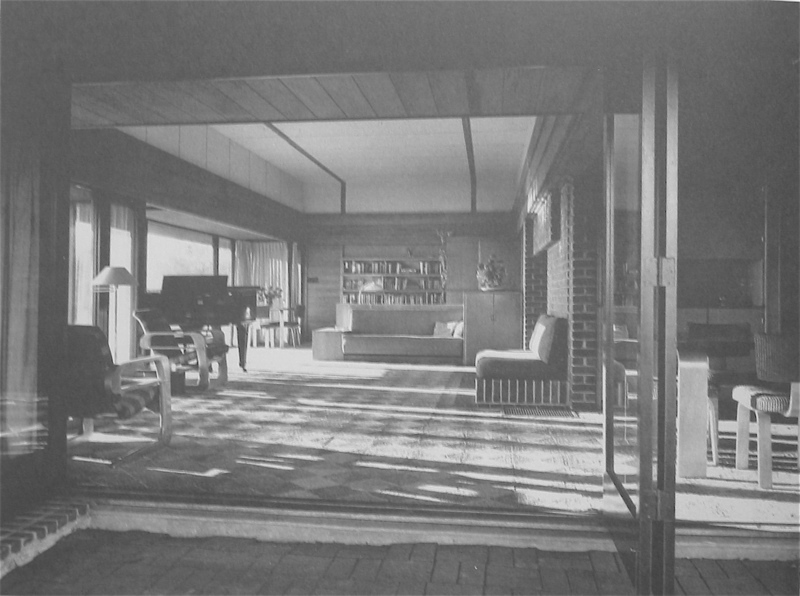 The Birtcher house of Harris comes to mind; Craig Ellwood and Gordon Drake houses are shown with the product, in "Modernism Rediscovered" (pp 34, 103, 135, 331). 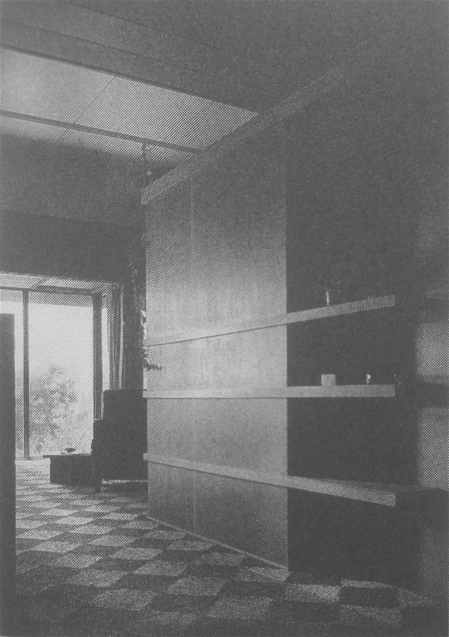 An early photo of the Pilot House, Model 102, at the Mutual Housing Association, LA, by Smith and Jones, shows the material in the living room. The version that we had frayed at the edges before too long. I think it would have sold at a lower price than conventional carpet . . .
the middle of every second diagonal square. 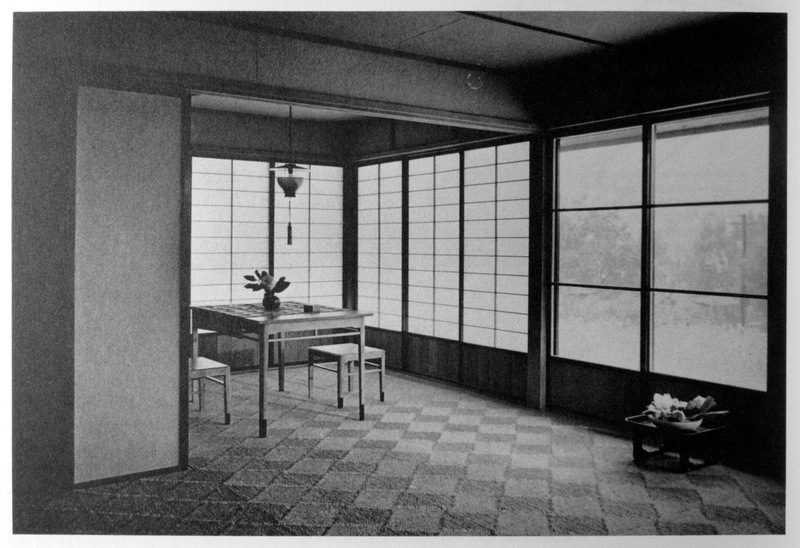 These seams are seen in the Birtcher living room, but I don't see it in the second photo below. Scroll down to see the Seagrass Square rug. There's a difference between the vintage product and the contemporary one: in the former the points of all diagonal "tiles" or squares meet; in the modern version there is a central "dead spot" in the pattern. In the vintage material, as I recall it, the individual "tiles" are lashed or sewn together and there are no seams running across the fleld through the middle of the tiles. Oddly, there appears to be one of each type in the Harris Bircher photos above. 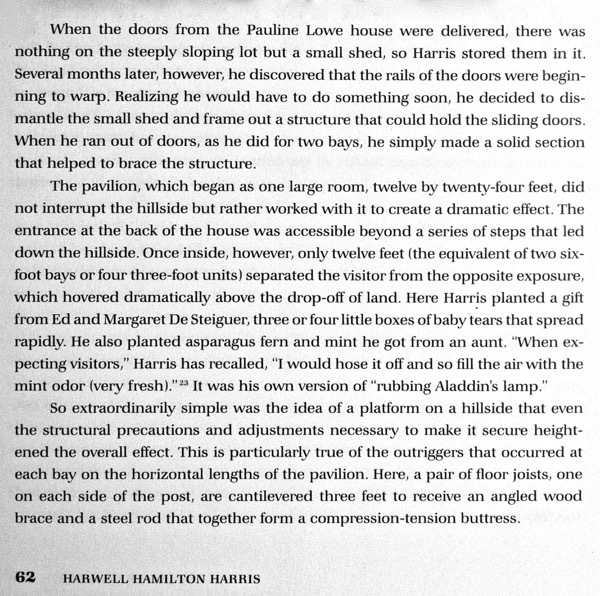 The sliding glazed sash found at Fellowship Park -- around which that house was designed -- came from Harris's earlier residence for Pauline Lowe and Clive Delbridge (Altadena, 1933-4). They were subsequently rejected by that client, and so were available to Harris. 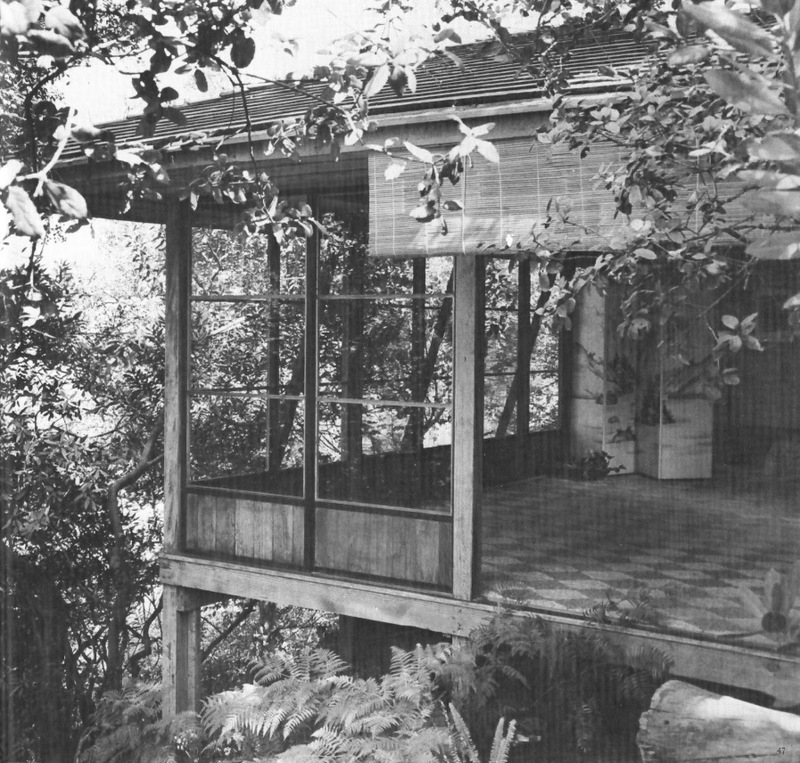 And a later house, for Mr and Mrs George Bauer (Glendale, 1938) has very similar sash as its window walls. As a bonus---two more images of grass checkerboard floor covering. Again, apparently, there are two varieties. 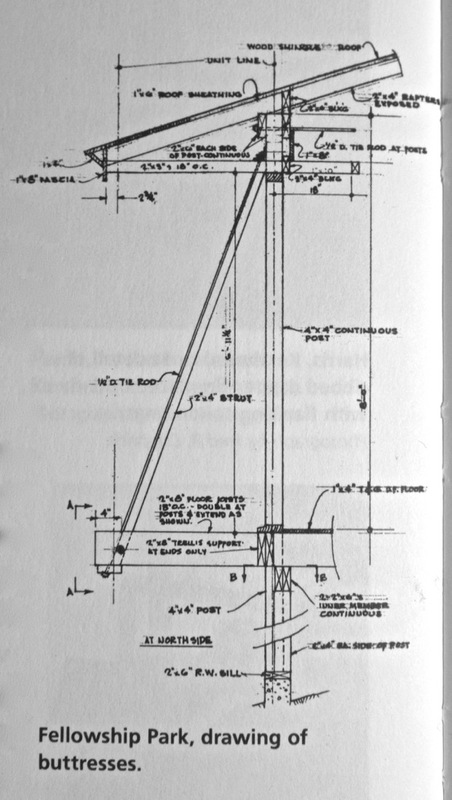 Germany points to the 12-inch squares as aligned with Harris's 3-foot module. Thanks for the great information. Should I assume sea grass has a similar texture as sisal...which I find rather prickly? Yes, I think so. Not as bad as a cocoa doormat, but not soft by any means. Not comfy on bare feet. Another issue---at least with the product as I knew it---is thickness, which can be a problem at the edges when used as an area rug. If the room were prepared for it, used as wall-to-wall, that might not be an issue.